Celia over at Fig Jam and Lime Cordial does these great posts every month showcasing all the wonderful food she’s made, grown or received as well as nifty foodie items she’s bought or been gifted. Unlike Celia, there’s not usually a lot going on in my kitchen so this is likely to be my first and last “In my kitchen” post, but here’s a few random items currently sitting on my counter. 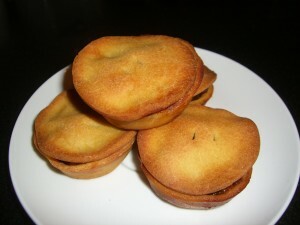 …are home-made mince pies. Yes, I made them myself from scratch. Yes, including the mincemeat. No, they weren’t completely inedible. 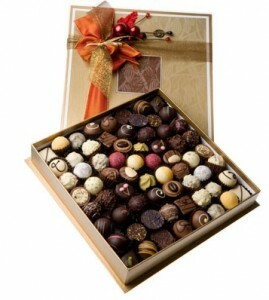 …is a box of Xocolat chocolates, a Christmas present from the husband. We stumbled across their shop tucked away in a small alley in Vienna a few years ago and bought a couple of boxes. The husband declares them the best chocolates ever and I have to say they are among my favourites. 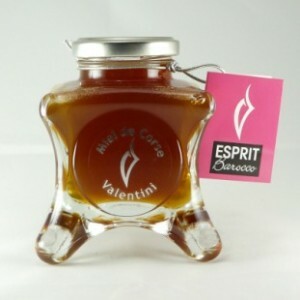 …is a jar of Corsican honey, a gift from l’Abeille. I have no idea if Corsican honey is better than any other sort of honey, but I’m on the lookout for recipes that will showcase it, rather than just smearing it on toast. Any suggestions? …is a box of chocolate from Rózsavölgyi Csokoládé in Hungary. I discovered this chocolatier a couple of years ago during the Chocolate Week exhibition and knew I wanted to try more of their wares. I decided to buy myself a box for Christmas. So far, I’m not disappointed. 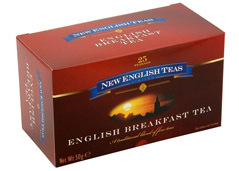 …is a box of English Breakfast tea from New English Teas, a gift from my parents-in-law. I usually have a cup of Earl Grey in the mornings, but this stuff is so good I’m seriously considering switching to English Breakfast. 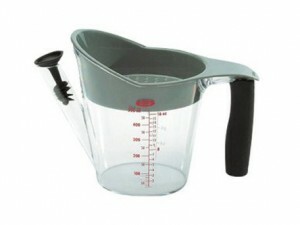 …is this fat separator from Oxo. I bought it before Christmas and have used it a few times. It does a wonderful job at separating the fat from the meat juices after cooking a roast, making gravy preparation so much easier. No, I am not being paid to say this. So what’s going on in your kitchen at the moment? All pictures my own, except those clearly taken from their respective company’s website. Those would be the decent, in focus photos. Hi Kate! I truly hope this isn’t your last IMK, because it’s lovely to peek in! Thank you for sharing! What exotic chocolates you have – I’ve never heard of either of those makers before. And we love our fat separator – it’s amazing how useful they are, isn’t it? Guess that means I’ll just have to start doing interesting things in my kitchen. I am loving our new separator. We had roast pork on the weekend and I was stunned when it separated the fat from the meat juices in under a minute! First time I was ever able to add pork juices to the gravy! There is a lot of chocolate going on in your kitchen:) I am also interested in the fat separator. I never make gravy because of the fat. I might buy one tomorrow! There’s only ever that much chocolate at Christmas, I swear! It should keep us going for a few months. According to your 36 list there are a lot of things that you want to be going on in your kitchen before November! I like all the chocolate-I might check out that Hungarian chocolate- my husband is Hungarian/Canadian and likes all things Hungarian to eat. That’s true – now I just have to do them! And then write about them. I love these posts although have only recently started doing them myself (and there is less going on in my kitchen than Celia’s too!). I am impressed with your homemade mince pies and those chocolates look fantastic. Don’t be too impressed with the mince pies – I really need to work on my pastry making! Although the mince meat turned out really well. Am always on the look out fro new teas. Will have to give that one a go. Ooooooh those choccies look gooooood! And right when I am trying to eat healthy! Wow, those mince pies look amazing. Any chance of the recipe? Hi, welcome and thanks for playing IMK with Celia and all her friends. 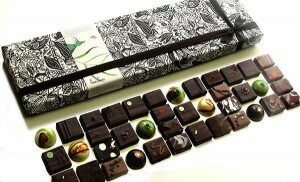 Love the thought of the Hungarian chocolates! I am of Magyar origin and know how delicious their chocolate is! Happy cooking and eating.